Will Friday Night’s Blood Moon Eclipse Determine How the Messiah Will Come? Though it is remarkable in its longevity, lunar eclipses are not rare, occurring an average of three times each year. In its discussion of eclipses, the Talmud (Sukkot 29a) specifically described solar eclipses as being a bad omen for the nations. Indeed, the complete solar eclipse that transversed the continental United States last summer ushered in the most devastating hurricane season in US history. The same source in the Talmud specifies that lunar eclipses are a bad omen for Israel since Israel is spiritually represented by the moon. If the lunar eclipse takes place in the east side of the heavens, then it is a bad omen for all the nations in the east, and similarly, if it occurs in the western hemisphere of the sky, it is a bad sign for all the nations in the west. It is important to note that the lunar eclipse on Friday night will appear in the eastern sky. 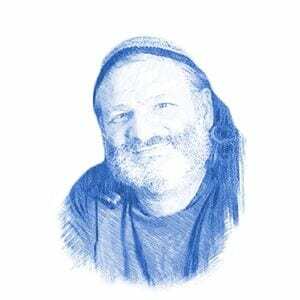 Rabbi Lazer Brody, an American-born Hasidic rabbi and teacher, has a particularly clear and definitive understanding of the upcoming lunar eclipse in the context of the Talmud in his blog, Lazer Beams. If during the course of the lunar eclipse the moon appears red, as the upcoming eclipse will be, the Talmud states that this is an omen that great wars will come to the world. At the end of this section describing the omens contained within eclipses, the Talmud states a disclaimer: “When Israel does the will of the place (God), they have nothing to fear from all of this,” citing the Prophet Jeremiah as a source. Rabbi Brody cited a prophecy in Isaiah concerning the possible timing of the Messiah’s arrival. Rabbi Brody also notes that the lunar eclipse falls during the Sabbath after Tisha B’Av, the fast day commemorating the destruction of both Jewish Temples. “[This is] the Sabbath of consolation, when Hashem consoles His people the Shabbat following the 9th of Av,” Rabbi Brody wrote. Brody highlighted that the remarkable duration of the eclipse also had significance. In the context of the lunar eclipse being a sign for Israel, Brody clarified how it could be either an omen for bad or an omen for good. The specific meaning of this eclipse will depend on how a person relates to the 613 commandments. This was the key to what type of omen this lunar eclipse will be in the context of global redemption focused on Israel. Other spiritual leaders also saw significance in this lunar eclipse. In a recent video, Rabbi Matityahu Glazerson, a Torah Codes expert, found clues hidden in the Book of Numbers for this specific lunar eclipse. Using a Torah program that searches for equidistant letter sequences in the Bible, he discovered the words אב ליקוי חמה (the month Av, lunar eclipse). He also found a code for the exact date, 15th of Av, 5778. In this code was a verse the rabbi felt was especially poignant for this era. The rabbi noted that Tu B’av is the Jewish holiday of love. But, he warns, it is precisely a perverted power of love that can turn the lunar eclipse into a harsh judgement for Israel.